How do I clean up my Outlook contact list and ensure the right contacts are tracked into CRM? Now this may sound simple, just install the outlook add in, sync and then track the required contacts into CRM, but if you do this you could end up with a bunch of duplicate contacts in Outlook, your phone and then Outlook owning the contact records that you track into CRM, which is a big issue as I explain below. When Outlook owns a contact via tracking it directly into CRM, it means that your outlook filters are dismissed for this contact. But what does this mean? Well its quite a major. 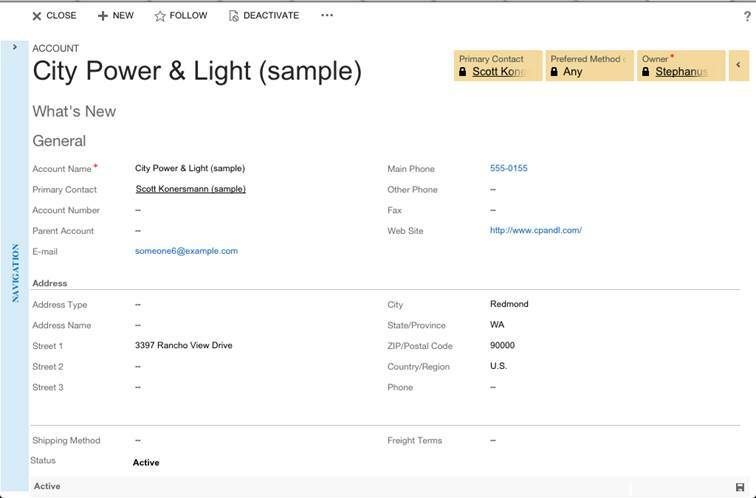 Imagine the scenario, the contact you tracked is reassigned to another person, in normal circumstances this might mean you no longer see this contact record, but because you tracked it, the contact remains tracked in Outlook. Then say you decide to untrack this contact or delete the contact in your outlook, because you do not deal with that contact anymore, but then 6 months down the line the contact is reassigned back to you, the contact will not be synced to your outlook via the outlook filters as your actions in Outlook has overridden that of the filters as you told CRM you never want to see this contact in Outlook, by untracking it! So basically if you track in Outlook you will overide the outlook CRM filters for this contact going forward and if you untrack the contact you will never be able to re sync this contact to the contact in CRM without first creating a duplicate contact in CRM merging them and syncing them back. So what is best practice you ask? Quite simple let CRM control what contacts based on your outlook filters should be synced to your Outlook and never track a contact via the track in crm buttons in Outlook! This way you will always see the right contacts from CRM and never get into a mess, where some are syncing and others are not. Now that statement may be contrary to what your CRM partner has told you but believe me it is the best approach. From a training perspective, it simple means that when I am in Outlook and I want to create a contact that ultimately belongs in CRM, I should create it in CRM via the Outlook interface interacting with CRM, and then let the sync process bring the details back down to my Outlook and phone. So now back to my problem statement, I have an employee who wants to get in sync there Outlook contacts and their CRM contacts by installing the CRM add in for Outlook. So maybe now you can see my dilemma this is not a simple process! So I have listed the steps below to what I believe makes the process as seamless as possible and ensures minimal duplicates of contacts across Outlook, phone and CRM. In outlook move all the contacts that you want in CRM to a new Contact folder called Business Contacts. Now if ownership of records change the contacts will be removed from your outlook (if your outlook rules are based on ownership) and if you regain ownership of the record the contact will be re-synced back to your outlook. 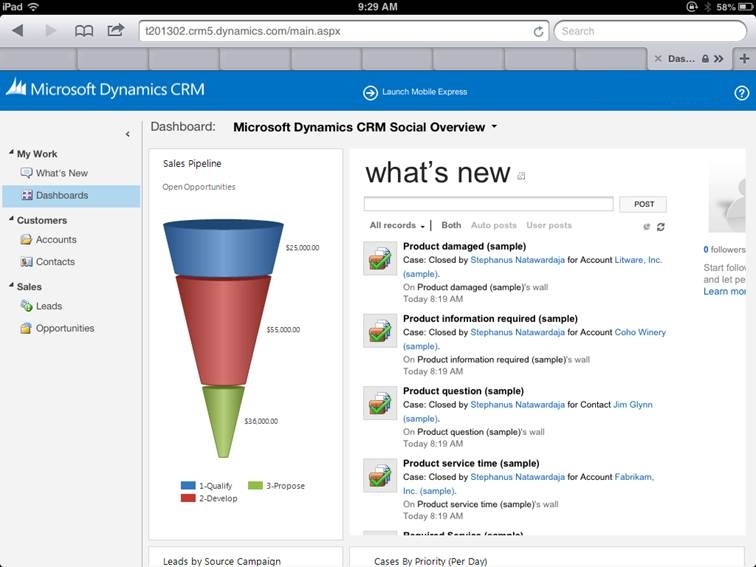 Hopefully this will simplify your CRM rollup and on-going maintenance of users. Limitations of the new Updated Forms (process flow) – Top 10! So Polaris is live, and the new process forms now known technically as the updated forms look good, but what are the limitations of their use, what does this mean for my CRM instance? I have listed below some of the limitations of these forms so that you are all aware on when to use and when not to use! Only one Updated form can exist for any of the COLAC entities (Contact, Opportunity, Lead, Account and Case entities), multiple forms still exist for the Classic forms [Steven Foster Update] You can create multiple forms in the new mode, and visibility of these can be controlled by security roles, but only one form can be the default and there is no easy way to switch between the different updated form types other than switching to classic, changing to the different form and then closing the record and re-opening the record. Multiple Instances under one Office 365 account – Buy one CRM licence access multiple instances, controled by group security (previously you would of had to have multiple Office 365 accounts), now you can have UAT and Prod in one instance with one username and password. Single sign on across multiple instances – One user can log into multiple instances with the same username and password. So lots of new features and this is coupled with the potential power of Office 365 enabling online exhange, SharePoint and team collaboration. The Microsoft CRM Support team has posted a blog article with some FAQs and known issues for the December 2012 Service Update and Update Rollup 12 (UR12). Its a great resource and I would recommend you review it before going live with this update. So you have a complex workflow that you want to copy and re-purpose for another decision point. Now you do not want to re create it, but just copy it. Its easy do not panic, follow these simple steps. You have now copied a workflow to create a new one. Simple.